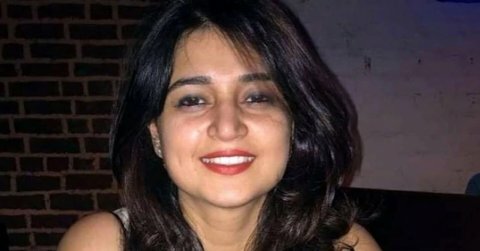 Dr. Neha Shoree, Zonal FDA’s Licensing Authority in Kharar in Punjab was shot dead on 29 March by a drug dealer who was identified as Balwinder Singh. Neha Shoree earlier raided and cancelled the license of the assailant in 2009 as he used to sell unauthorized drugs and was also scheduled to depose in a court case against him on the issue. Dr. Neha Shoree was shot dead at the Drug & Chemical Testing Laboratory at Kharar, Punjab. The attacker Balwinder Singh, 50 hailed from Morinda to take revenge. According to the police, “Singh reached the office by 10:30 am on his motorbike. He entered Shoree’s office, fired two bullets at her and shouted “Happy Holi”. Mohali SSP Harcharan Singh Bhullar told “One bullet hit Neha on the temple and another on the chest”. Balwinder tried to escape but when he got seized by Suresh Kumar, the Laboratory Attendant he shot himself in the chest and the head. Balwinder is said to have obtained an arms license from the Ropar admistrartion earlier this month following which he purchased a revolver said “ SSP Bhullar”. Both Neha and Balwinder were rushed to the nearby Civil Hospital in Karar but both were declared dead. Neha’s six year old niece was present in the office in Karar during the shooting. Punjab’s Chief Minister Amarinder Singh directed the state DGP to ensure a speedy probe into the murder of Dr. Neha Shoree. He also said no one would be allowed to interfere or intimidate any public servant in the discharge of their duties.